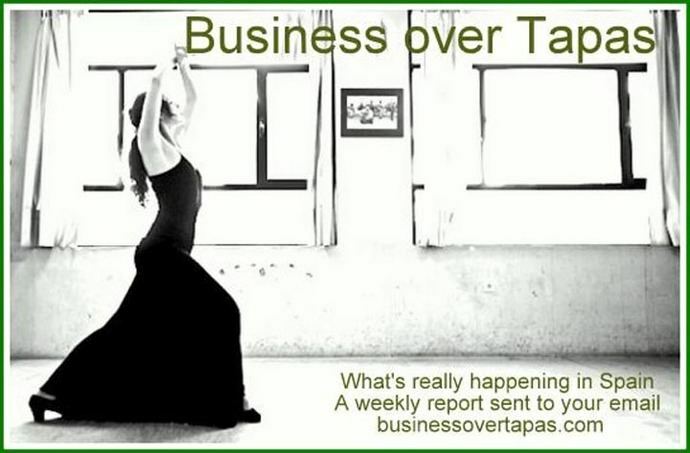 07FEB19.- For subscriptions and other information about this site, go to businessovertapas.com - email: businessovertapas@gmail.com - ***Now with Facebook Page (Like! )*** -Note: Underlined words or phrases are links to the Internet. Right click and press 'Control' on your keyboard to access. - Business over Tapas and its writers are not responsible for unauthorised copying or other improper use of this material. Subscription and e-mail information in our archives is never released to third parties. One remembers the old days, where two behemoths stood face to face, as the votes were counted, and one took the majority and formed Government while the other led the Opposition. In Spain, this was the case since Democracy returned following Franco’s death (we will ignore the small regional parties, which in any event generally identified themselves with one side or the other). Now, we have five major parties instead of two: the (fragmented) far-left of the Izquierda Unida (itself a coalition of parties) together with Podemos and its break-off assemblies; the PSOE in the centre-left; the Ciudadanos in the centre-right, the Partido Popular (which traditionally has occupied the centre-right) and the far-right Vox (described this week by a Ciudadanos leader as ‘the Populist Vox’). This spread of parties inevitably means that pacts and coalitions must be made. In Andalucía, the PP and the C’s are currently ruling with Vox as the unseen third partner. Indeed, this arrangement, more or less and according to how the votes fall, has been embraced by the PP which has now given up its ‘party-most-voted should rule’ claim (in Andalucía, that would have been Susana Díaz’ PSOE-A anyway). The regional PP leaders now accept that a pact ‘a la andaluza’ with C’s and Vox could be built in other regions of the country. Including the Region of Madrid (here). Indeed, elections these days, says ElDiario.es, are now twofold – first comes the vote (open to all) and then comes the pact. But what, exactly, are the details? What was it that we voted for? The French system of two rounds starts to make more sense. ‘Why foreign investors keep the property market booming but don’t want new builds’. A report from The Olive Press here. Mark Stücklin from Spanish Property Insight looks at the potential problems of buying a house in a new series: ‘...whilst you are bombarded from many quarters with a narrative urging you to buy, you rarely, if ever, hear the arguments against buying in Spain, or from the people who regret having purchased...’. The courts have suspended a demolition order on a house in Albox (Almería) after 16 years of litigation. The house was constructed in 2003, with planning permission and a licence of occupation, by a retired British couple who are now in their seventies. The couple’s lawyer, Gerardo Vazquez, also the lawyer for AUAN, successfully argued that the house could be regularised via an AFO and that according to article 108.3 of the LJCA, (contentious administrative law), demolition is not the only means to execute a sentence nullifying planning permission. The story is at Almería Hoy here. From Diario Sur comes a story of some retired people who decided to build their own residence in Antequera (Málaga). ‘A group of friends, seeing that their retirement was perceived on their horizon, wondered what they would do when they stopped working and thought about the needs that would be presented to them, from medical care to easy access to the bathroom and not having to depend on their families or go to a conventional residence. This gave rise to the idea of creating their own residence, for which the Antequera Town Council gave them the land free of charge and they themselves have paid for its construction under the name of 'Residencial 51'...’. The residence is now open and working, says the report. From VozPópuli comes: ‘Spain has closed 2018 with a deficit of 2.7% of GDP, i.e. about 32.400 million euros of gap between what it has earned and what it has spent, as reported by the Secretary of State for Budget and Expenditure, Maria Jose Gualda. Including this year, eleven consecutive years have passed in which the country has not managed to earn enough to finance its expenses, and in all of these exercises, only in two cases was Spain able to meet the target deficit agreed with Brussels...’. Notice how there are less branches of your bank, less people in the ventanilla, indeed, there's now a desk and chair instead (to slow things down)? Notice how we must use the cash machine to pay in as well as take out (notice the hidden charges)? Notice the negative interest on your savings? From Público, we are relieved to learn that, despite this, all is well with the banks, and they were earning between them 1.9 million euros per hour in 2018. ‘Talgo will manufacture 23 AVE trains for the German Deutsche Bahn for 550 million euros’, says VozPópuli here. From El Huff Post here: ‘PP, Ciudadanos and Vox call separately this Sunday to the Spaniards in Madrid to "kick Sánchez out". "We have to join forces in the streets to drive Sánchez out," defended the Cs leader; "We demand the immediate convocation of elections," argues Casado; "Down with the traitor," said Abascal’. This is all to do with the Government’s plan to find an ‘informant’ or ‘rapporteur’ (no one seems sure what it means) to stand between Madrid and the Barcelona Generalitat. As El Mundo says, the march is ‘...against the "humiliation" caused by Sánchez and "to kick him out."’. El País in English explains the background here. The CIS (Spain's leading pollsters) now places the PP behind Cs and Podemos, and a long way behind the PSOE. According to the poll, Casado's Partido Popular would pull only 14.9% of voters, while falling to the position of fourth largest group in Parliament. The Conservatives now dispute the accuracy of the Centro de Investigaciones Sociológicas, calling it "Tezanos' CIS" (the director, José Félix Tezanos, being a supporter, apparently, of the PSOE). The story is at El Español here. ‘Pedro Sánchez publishes a book by surprise’, says El Huff Post here. ‘The volume is called 'Manual de Resistencia' and Sánchez is the first active president to publish a work of memoirs: it will be available in book-stores from 19 February’. El Mundo is worried he might earn something from his book, as this would be against PSOE statutes. Tuesday: The Madrid taxi-drivers have given up their strike after sixteen days without success. From Scotland’s The National comes (a partisan?) article titled ‘Democracy on Trial’. ‘Catalonia’s jailed pro-independence leaders are preparing to appear at the Spanish Supreme Court on charges which could land them with jail terms of 30 years. Nine defendants are in custody, some of whom have been for more than a year, including former vice president Oriol Junqueras, ex-ministers Joaquim Forn, Raul Romeva and Carme Forcadell, the former speaker of the Catalan parliament, along with grassroots leaders Jordi Sanchez and Jordi Cuixart...’. You can’t trust the Catalonian judges to be ‘impartial’, apparently, as the ex-chief of the Mossos (regional police) goes on trial. El País reports that ‘The Public Prosecutor's Office opposes Josep Lluís Trapero's trial going to Catalonia due to independence pressure. Discomfort rises among Catalan judges after the prosecutor questions their impartiality’. The end of Susanita? The irreverent Moncloa news-site says ‘Three women aspire to replace Susana Díaz at the head of the Andalusian PSOE. These are Carmen Calvo, Verónica Pérez and María Jesús Montero. The vice-president of the Government, Carmen Calvo, has sent a message to Díaz warning her that the party is above personal interests...’. ‘The Andalusian government has just put in charge of the daily management of the regional health system the very person who engineered with María Dolores de Cospedal in Castilla-La Mancha the dismissal of more than 3,000 health professionals. Miguel Moreno Verdugo is, from this Tuesday, the new manager of the Servicio Andaluz de Salud (SAS). During the government of Cospedal in Castilla-La Mancha, Moreno was responsible for Human Resources in the Health Service and was responsible for imposing a severe reduction in costs. As a result, the health service of that Autonomous Community suffered a precipitous fall in their level of care while public criticism followed Cospedal until the day she left office...’. Item from ElDiario.es here. Received with satisfaction by El Español comes this item: ‘The EU irritates London by calling Gibraltar a "British colony". The expression, which responds to the demands of Spain, has ignited the United Kingdom, which considers it "completely inappropriate"’. From The Guardian here: ‘Maduro warns the White House will be 'stained with blood' if Trump invades. The embattled president signals he has no plans to go and asks if the US would like ‘a repeat of Vietnam’’. The remarks come from an interview by Jordi Évole broadcast on LaSexta on Sunday. Évole himself said afterwards that the interview was tough and he felt like his career depended on doing a good job of it. The right-wing media were unimpressed by his efforts, with El Español saying that he didn’t ask any hard questions. From MPN here: ‘The Making of Juan Guaidó: How the US regime change laboratory created Venezuela’s coup leader’. As somebody says on Twitter: ‘Spain takes the self-proclaimed Republic of Catalonia to court on February 12th, while recognising at the same time the self-proclaimed president of Venezuela’. All very odd. From VozPópuli here. ‘Paquí Pallá SL' (‘Here ‘n’ There Ltd’) is the name that the regional Madrid PP were using to hide invoices of their irregular financing. This has been corroborated by a new report from the Central Operative Unit of the Guardia Civil, which accredits the diversion of funds to pay for Esperanza Aguirre's electoral campaign. ‘Jose Mourinho convicted of tax fraud in Spain but won’t serve any of one-year prison sentence’. Headline from The Olive Press here. From Politico here: ‘...Just under 300,000 Britons are resident in Spain, more than any other EU country. The Spanish authorities are currently "working" on contingency measures that "seek to safeguard the interests of British citizens" in the case of withdrawal without an agreement, according to an information website launched by the government. As with all EU27 countries after Brexit, under a no-deal scenario British residents will no longer be entitled to automatic reimbursement of local health care costs by the U.K.'s National Health Service, The Guardian reported. That could be particularly significant for around a third of British citizens in the country, who are retirees...’. ‘NHS trusts are at greater risk of losing Spanish nursing staff over other nationalities under a no-deal Brexit, due to a little-known regulatory problem, HSJ has learnt. At the moment, Spanish nationals can accrue points from their work in Britain that can later be used on Spain’s public health job exchange. But, under a no-deal Brexit, NHS experience will no longer be recognised in Spain. HSJ understands concerns are growing that Spanish staff are considering returning to their home country, as too long a stay in the UK could jeopardise their job prospects in Spain. As of June 2018, the latest date at which data was broken down by nationality, Spanish nurses and health visitors make up 17 per cent (3,370) of the EU NHS nurse workforce in June 2018 – the second highest volume of staff from the EU after Ireland...’. Item from HSJ here. ‘Remainers have given the EU the status of a religious cult’. From Briefings for Brexit here. Enjoy! "The UK's Pensions Office is groaning under the weight of last-minute panic applications from Brit immigrants to the EU for the Medical Care Entitlement Form called S1. It's an essential document before unregistered Brits can be formalised as Spanish Residents before the deadline and possible crash-out date of March 29th. With the increased tension between the Divided Kingdom and the EU as divorce proceedings have become more starkly dangerous, Madrid has introduced more extensive documentary formalities to be submitted by a gestoría on behalf of a British immigrant before a residence application can be accepted. It's clear from that list that Spain only wants to register people as residents whom it won't later see begging on the streets! The war of the Spanish free-press (2007). Metro, ADN, 20 Minutos and Qué! were the four titles that began that year, but only one, 20 Minutos, has survived. Yorokubu looks at what went wrong for the freebies here. Some digital titles have also closed, says Verne here, looking at productions aimed at the young. These include Buzzfeed España, Eslang and Playground. The larger media gets things wrong, too, says ElDiario.es in an amusing collection of January mistakes, manipulations and exaggerations here. From El País in English here: ‘Self-generated energy soars in Spain as solar panels plunge in price. Last year there was a 94% increase in sun-powered electricity compared to 2017, according to Spain’s Photovoltaic Union UNEF’. ‘The unbridled rise of the electric receipt: it has shot up by 25% in just one year and by almost 80% since 2003. Facua reveals that 400 euros more is paid by householders per year than they did in 2003...’. 20 Minutos reports here. As the TV celebrates the Goya prizes (the best Spanish films of 2018), La Información laments that ‘Up to 14 Spanish films took in less than 100 euros... and 66 less than 1000’. Which province do you live in? It wasn’t always called that, says Verne here in an interesting exploration of Spain’s changing borders and provincial names. The Think Tank Index from the University of Pennsylvania has two Spanish agencies listed in the Top Fifty, says La Moncloa here: these are the Barcelona Center for International Affairs (here) at Nº 37 and the Real Instituto Elcano (here) at Nº 48. How many Europeans, how many Brits, how many Spaniards on the padrón are in your town? In my town, Mojácar, it works out at 2,545 Europeans (in all, there are 2,906 foreigners), including 1,536 Britons, 124 Germans, 232 Romanians and 167 French, plus 3,395 Spaniards. Go here and then to (your province) 4.3. Meanwhile, go here for total population results in Spain (by nationality). According to these statistics from the Instituto Nacional de Estadísticas, British residents have fallen from 240,934 to 223,251 overall from the previous year – being a sharp drop of 7.3%. ‘Everything you need to know about getting Spanish citizenship’ with The Local here. A fraud that could be more widespread... ‘Coffin-swapping scam accused of filching millions from grieving families in Spain. Investigators suspect that employees at a Valladolid funeral home were removing bodies from their expensive caskets and placing them in cheaper ones before cremation’. Found at El País in Spain here. ‘The Andalusian Rescue Centre for Horses in Alhaurín el Grande (Málaga) is celebrating its tenth anniversary this month. Founded in 2009 by president Jill Newman Rogers and a group of horse-loving friends, the charity has since rescued, cared for and re-homed more than 300 horses and donkeys...’. Item from Sur in English here. ‘Spain's Top 10 Walks - For those who have a head for heights. Spain has some of the most spectacular trails in Europe and even some that were once considered amongst the most dangerous in the world. If you fancy a walk with a little more excitement you might just want to check out these breathtaking but vertiginous walks around Spain...’. The top 10 are listed at Eye on Spain here. From España Fascinante (in English) here: ‘A treasure lies in this modest building lost in a Badajoz town: it is known as the Sistine Chapel of Extremadura. Olive trees and streams surround the Shrine of the Virgen del Ara in the town of Fuente del Arco. For a chapel in the middle of nowhere, it’s surprisingly big; however, you’d never guess there is such a gem behind its white walls!...’. Ref: BoT 287 - The Foreign Office is advising British people living in EU countries to give up their UK driving licence. A person that exchanged his/her British driving licence and then gone back to UK and has exchanged Spanish driving licence back to British driving licence without complication by DVLA and without going through driving test? From La Ser: the unconventional flamenco star Rosalía wowed them at the Premios Goya with this amazing performance.